Promotions for the brand that means business. 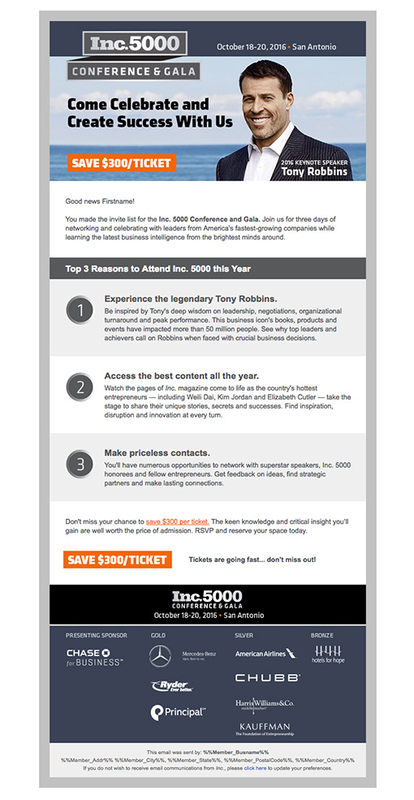 Inc. is the brand people who mean business go to — whether through the magazine itself or for conferences, educational programs and special events. Sage has been successfully promoting their various offerings from the ground up, starting with subscription acquisition and renewal campaigns for the magazine. 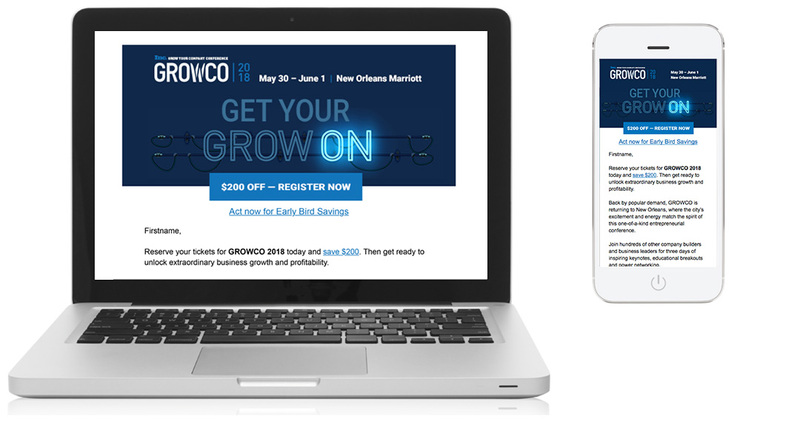 This led to email marketing for the Inc. 5000 Conference and Awards flagship event, as well as the GrowCo and Iconic Conferences and Annual Women’s Summit.